Just a few days have passed since gospel singer Betty Bayo organized a baby shower at the Well of Worship Centre in Massachusetts. “Let us support our sister, daughter, friend and favourite gospel artiste,” read part of the poster. The singer who separated from her husband Pastor Victor Kanyari following the controversy that he performed fake miracles, has been silent on the current status of their relationship. It is therefore not clear who the baby daddy is. When Heads Up reached the pastor to confirm if he was the baby daddy, he refused to talk about the matter. “Oh! you also saw the news of the baby shower just like I did? Anyway, I’m out of town at the moment and I can’t comment on the matter. Please allow me to contact you as soon as I come back,” Kanyari told Heads Up. 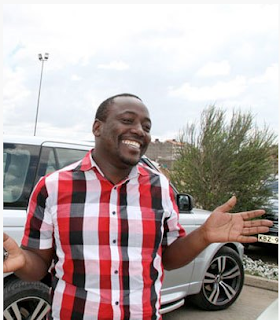 Earlier on, in a different interview, Kanyari had said that he was not aware of his estranged wife’s pregnancy. “I’m not aware if she is pregnant and that is her private life. I don’t even know if she is expectant,” he had told Heads Up. Efforts to reach Betty were futile. Betty is currently in the US on a two-month tour that will take her through eight states. She has been in Kansas, Alabama, Oklahoma, Minnesota, Arizona, Seattle and Boston. Judging from the colours of the baby shower poster which has been shared widely online, Betty’s second child is likely to be a boy.